Highlight: Program includes concentrations such as the Choreography for Stage & Cinematic Arts. This concentration is designed to guide students who are interested in the field of dance for the stage, motion pictures, television, digital media and animation. Students will also be mentored in experimental dance media, both as individual performers and in collaboration with other visual and performing artists. Highlight: Endowment support for programming and scholarship is made available through the Holloway Endowed Chair Fund and the rotating Macy's Distinguished Guest Artist Fund. Recent guest artists include: Bill T. Jones, Doug Varone, Trisha Brown, Jennifer Archibald, and Ronald K. Brown. Highlight: Visiting artists and scholars enrich all dimensions of the OSU program and regularly augment the resident faculty. The students also benefit from institutional relationships with Dance/USA, BalletMet Columbus, Movement Research, Inc., of New York City, OhioDance, growing exchange programs with universities and centers in Europe, Asia, Central and South America, and Africa, and the Dance Notation Bureau Extension housed in the department. Highlight: The Barnard Department of Dance has a unique relationship with The University of South Florida's Dance in Paris program. The USF/Barnard Dance in Paris program provides students with an immersive dance experience from technical, choreographic, performance, historical and cultural perspectives in one of the world's greatest cities for dance. Highlight: The Gainesville Ballet Company (GBC) is housed at Brenau University and includes professional dancers, qualified Brenau University and qualified Gainesville School of Ballet students. GBC members enjoy numerous performance opportunities including eight performances of The Nutcracker, eight spring story ballets and repertory pieces, and two repertoire concerts in late spring. Additionally, GBC dancers always participate in Brenau’s Day of Dance and Winter Weekend, and frequently participate in Brenau’s Evening of Dance, Faculty Concert, and ACDA. Highlight: Chapman has one of the few university dance programs that offers equal numbers of courses in ballet, modern, and jazz dance along with tap, hip-hop, ballroom, yoga, and conditioning. Highlight: The Purchase Dance Company performs major concerts in the Performing Arts Center; in student and faculty concerts in the Dance Theatre Lab; and on tour in New York City, New York State, and abroad. The Purchase Dance Company has toured to Taiwan, Hong Kong, Beijing, Amsterdam, France, and Germany. Highlight: Far and away the best dance program in Boston, the program features a strong core curriculum. It includes "the Creative Component" which develops a student's individual artistic voice and understanding of choreographic theory and process, collaboration, communication, and leadership. The Creative Component also includes classes in dance composition, improvisation, and collaborative creation. Highlight: Presented by the School of Dance, "Knowing Dance More" is a series of lectures, conversations and informal showings led by visiting artists and scholars in the international field of dance. Curated by Lauren Bakst, this series seeks to bring into focus current issues within the production, performance and practice of dance works and will hopefully foster ongoing conversations about knowing dance more. Past guests have included Jesse Zaritt and Susan Leigh Foster. Highlights: Features a unique program called "Commercial Dance". The Commercial Dance major blends the highest quality of dance and theater training preparing students for diverse careers on stage, television, film, and the entertainment industry. Commercial Dance students train with leading professionals in ballet, jazz, modern, theater dance, tap, contemporary, hip hop, and aerial work as well as in acting, singing, and technical theater. Highlight: In addition to its outstanding BFA program, Montclair State offers a BA in Dance Education. The BA in Dance degree offers two concentrations that prepare students to teach in a range of dance settings, including public and private P-12 schools, dance studios, community centers, after-school programs and recreational facilities. 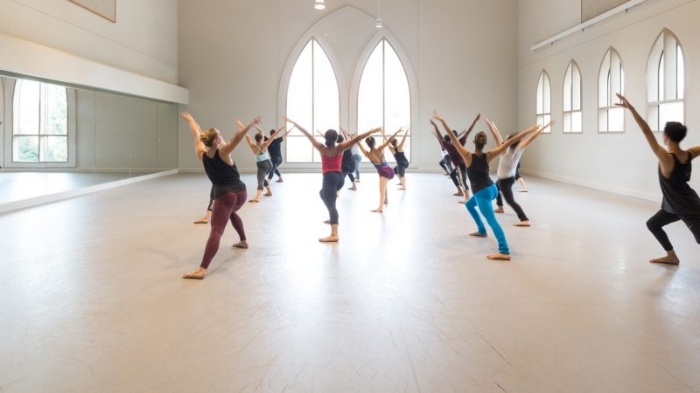 Highlight: FSU is home to the Maggie Allesee National Center for Choreography, a dance and choreographic research center, housed in the renovated dance facilities in Montgomery Hall. MANCC seeks to complement the activities of the School of Dance by strengthening and enhancing interaction between dance practitioners operating within and outside of an academic setting. Highlight: The Towson University Dance Company, founded in 1978, produces quality theatrical dance concerts, educates diverse audiences, and provides professional-level performing experiences to its company members. The Dance Company's fall and spring performances showcases new works by Towson University faculty and renowned guest artists, such as Mark Taylor, Alonzo King, Larry Keigwin, Troy Powell, David Parsons, Mark Dendy and Gus Solomons. Photo courtesy of the African American Arts Institute. Highlight: Home to one of the best modern and contemporary dance programs in the county, IU dance majors can also take classes in ballet, tap, jazz, or musical theatre. All dance majors may become members of the Indiana University Contemporary Dance Theatre, and perform in the state of the art Ruth N. Halls Theatre, as well as in other university and community venues. Several productions are held each year, and performance opportunities nationally and internationally are also available. While CalArts is a name you might not automatically associate as a dance power, you should. Because their's is one of the best in the west and only getting better. Their BFA curriculum builds a strong foundation in ballet and contemporary dance styles. Two technique classes a day, four days a week provide a consistent means for developing the necessary skills throughout the four-year degree program. The School's performance calendar includes 8-10 concerts featuring student and faculty work each year. If you're thinking of heading out west to major in dance, your first stop should be U of A. One of the big aspects of U of A's program we like is their emphasis on dancer's health. Since 2013, UA Dance students have had access to specialized onsite musculoskeletal care through a weekly Dance Medicine Clinic. The Clinic is run by Dr. Daniel Latt, a specialist in sports medicine and foot and ankle surgery. The goal of the Clinic is to provide the students of the School of Dance timely and accurate evaluations of their injuries, advice on effective treatments for simple injuries, and referrals for more complex problems. By improving access to specialized care, it is hoped that both the frequency and the duration of injuries will be reduced, thus improving the training of every UA Dance student. Fourth year students participate in the Pluck Project, a school-sponsored group of graduating dancers who choreograph solos and perform original works in New York City for professional choreographers and directors. Alumni include Claire Kretzschmar(New York City Ballet), Camille A Brown, and Gillian Murphy(American Ballet Theatre). Deep in the heart of Texas lies one of the best dance programs in the nation. SMU's Meadows School of the Arts students can earn a B.F.A. in Dance Performance or a minor in Dance Performance. Coursework centers on ballet, modern and jazz, all three of which are required for all first-years and sophomores. During junior and senior years, students select the techniques they wish to concentrate on. In addition to technique training, students are immersed in theoretical studies that include dance history, kinesiology, music theory/history, and choreography. 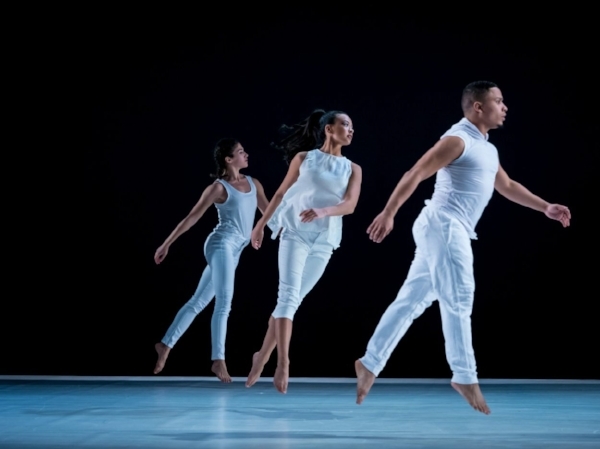 Alumni currently are or have been employed by the Alvin Ailey American Dance Theater, Ballet Hispanico, Dance Theatre of Harlem, Martha Graham Company, Paul Taylor Dance Company, Complexions and many more. SMU is also one of the rare BFA programs that encourages and supports students wishing to double major. Boasting the best ballet program outside of New York City, the Jordan College of the Arts at Butler University should be a top choice for aspiring dancers. The program features studio coursework in Ballet, Modern, and Jazz, with an emphasis on classical ballet. They also offer supplementary studio classes in Pointe, Men’s Allegro, Character Dance, World Dance, Pas de Deux, and Classical Variations as well as classes in Choreography, Improvisation, Laban Movement Analysis, Music for Dance, Dance History, Theory and Philosophy. ButlerBallet, the performance component of the program, offers extensive pre-professional opportunities, including full-length classical productions of The Nutcracker, Swan Lake, The Sleeping Beauty, Coppélia, Cinderella, and Giselle; all performed to live orchestra. Alumni include Holt Walborn, a member of the Rioult Dance New York. Hands down the best college in the country that offers both a BA and BFA in dance. The school provides instruction in ballet, jazz and modern. Point Park also features one of the best facilities in the country. It's four-story George Rowland White Performance Center is a sight to behold. Interesting note, it is a Gold LEED-certified building and one of the few green arts facilities in the region. This dance studio can be converted into a fully functional performance space to meet the needs of various projects at the conservatory. It offers intimate audience seating for 188 and a 40-foot-by-30-foot performance space, the second largest in Downtown Pittsburgh. Alumni include Tony-winning choreographer Rob Ashford(Thoroughly Modern Millie, Frozen), Neil Haskell, and Megan Sikora(Wicked, Curtains). At Juilliard, dance students will have the chance to perform, a lot. Juilliard’s Dance Division presents some 30 public performances. They include a New Dances series in December, which features each class of students in a new work made especially for them by a prominent choreographer. In the spring semester, the Juilliard Dances Repertory series gives dancers the opportunity to perform in established works from repertory. The dance calendar also includes an annual Senior Production, a performance series featuring works by senior choreographers; and the popular Choreographers and Composers (also known as ChoreoComp) concert, which presents the results of a collaboration of six Juilliard student choreographers with six Juilliard student composers. This renowned program also features possibly the finest collection of faculty in the world. They include Deborah Wingert, a former principal at the New York City Ballet under George Balanchine. As well as Janis Brenner, whose work has been commissioned and restaged by more than 45 companies and colleges in Germany, Sweden, France, Taiwan, Indonesia, Singapore, Russia, and the U.S. In our opinion, no college in the country is doing a better job of preparing versatile dancers for this industry than The Ann Lacy School of American Dance and Entertainment at Oklahoma City University. In addition to their program in Dance Performance, OCU also offers programs Dance Management, American Dance Teacher, and Entertainment Business. Students take a foundation curriculum of dance technique, arts management and production, teaching dance, choreography, dance history, music fundamentals, and general education courses in the first two years. 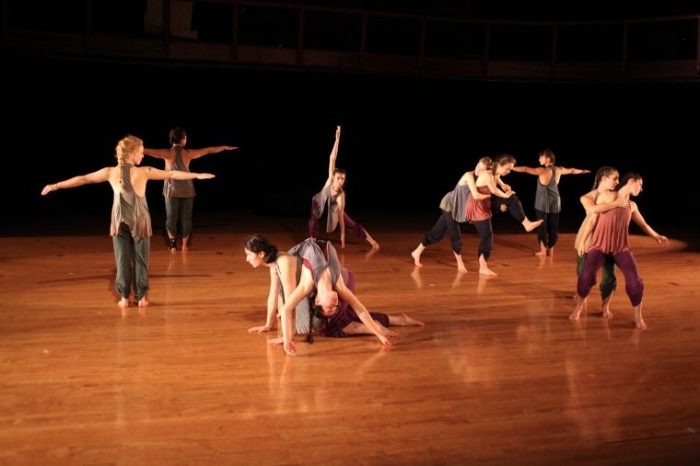 Students are placed in one of the three dance major degree tracks (Dance Performance, Dance Teacher, or Dance Management) for their junior and senior years. The school offers a number of performing groups and opportunities. From their American Spirit Dance Company to their Spirit of Grace Liturgical Dance Company, students will have plenty of chances to perform. In addition to becoming known as a recruiting ground for the Rockettes, a number of alums have recently appeared on Broadway and elsewhere such as Ashley Stover(Hello Dolly! ), Chip Abbott(Charlie and the Chocolate Factory), and Nathan Peck(Wicked). The Ailey School is housed in the beautiful Joan Weill Center for Dance. This mecca for dance is located in the heart of midtown Manhattan. It houses 16 climate-controlled studios equipped with sprung floors, pianos, sound systems, state-of-the-art acoustics; the 275-seat Ailey Citigroup Theater, physical therapy facilities, the Ailey Boutique, a library and student and faculty lounges. It is largest building for dance education in the dance capital of New York City. According to their website, students take a rigorous core curriculum of daily classes in Classical Ballet, Horton, and Graham-based Modern. In addition, students also take a variety of other dance technique and creative courses that are specific to the BFA in Dance program including Jazz, West African dance, Partnering, and Improvisation, among others. Alumni include Taeler Cyrus who's performed in Hello Dolly! and An American in Paris as well as Natasha Diamond Walker who is performing with the Martha Graham Dance Company. Full Disclosure: Our dance research team consisted of two current BFA dance students, three professional dancers, two college admissions professional, one dance casting director and three dance administrators. They're associated with the following schools - Rutgers University, University of Utah, University of Texas, Point Park University, SCAD, Elon University, Temple University, The Juilliard School, SUNY Purchase and Shenadoah University. To avoid conflict of interest, they did not adjudicate their associated programs.